A free day at the beach at Dead Sea is the lowest point on earth, have free time for swimming float, mud bath and relaxation. Another free day at the beach at Dead Sea, have free time for swimming and relaxation. After breakfast, transfer to Petra, start a guided tour and to visit the many sites of Petra, the city carved into the rose-red Mountains by the Nabateans and lost to Civilization until re-discovered by the Swiss Burkhardt. Walk through the Siq, a narrow and winding fissure between the cliffs, to reach the Treasury, the Nabatean Roman Theater, the royal tombs, the Roman Road, the great temple, the temple of the Winged Lion and the basin, evening to your hotel at Wadi Musa. 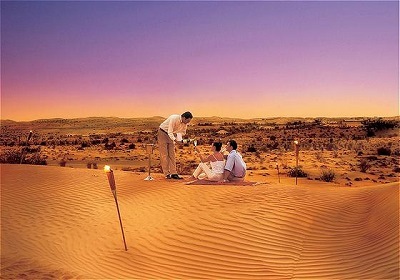 For dinner, you will be taken to romantic candlelit dinner at Little Petra. 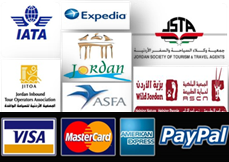 Also spend more free time at Aqaba, and then transfer to Amman to your Hotel for overnight. Transfer to Amman Queen Alia international Airport for departure. Jordan is a unique destination offering breathtaking and mysterious sights; it is steeped in history and culture. 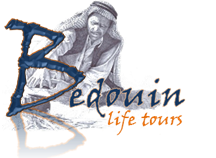 Our tours enable an unforgettable exploration of Jordan and a chance to discover the incredible variety and contrasts it has to offer.